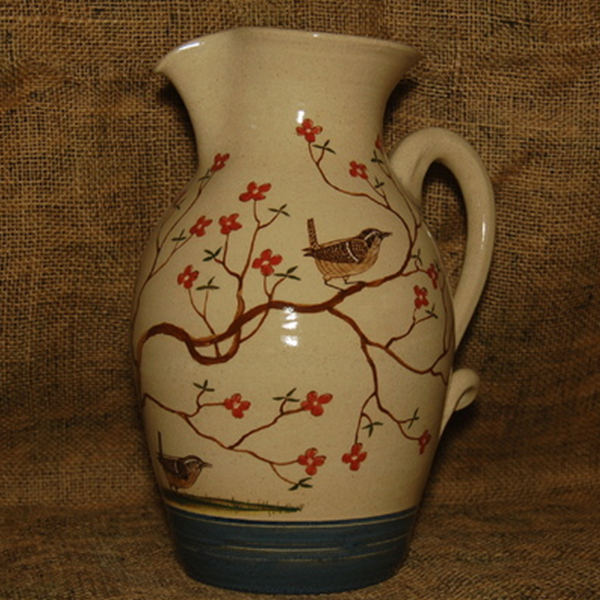 Since 1986, we have successfully developed a unique line of functional and decorative stoneware. We maintain a working pottery studio and enjoy a successful retail, mail order, and commission business. PIeces are thrown on a potters wheel, pinched, coiled and hand-painted. The relief technique is drawn on with a pencil and clay is excised from leather hardened pottery. Glazes are mixed and applied to the frame the art work and enhance each detail. Kid Friendly! Clay will be available to children to try making pinch bowls, frogs, mugs, turtles and worms, which will be demonstrated along with carving, etching and relief.